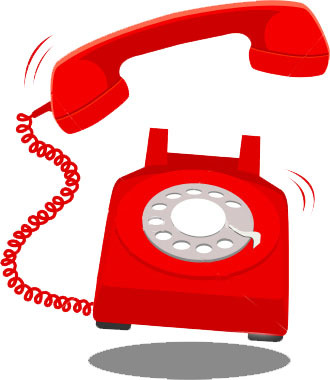 Telephone scams can often be difficult to recognize. Frequently scammers will target the elderly in an attempt to scare or confuse them into participating in the scam. These scams can lead to identity theft, loss of money, a negative credit rating, or worse. One scam in particular preys on basic human compassion. The target will receive a phone call from a scammer stating a family member is in trouble. The caller might say the relative is in some kind of immediate danger and needs money from the target. Sometimes the caller will say a relative is in the hospital, is having car troubles, is in prison, or is stuck in another country. The scammer then asks for money; in all likelihood, they will ask for a wire transfer to help resolve the situation. The Federal Trade Commission has a few tips to help combat this scam. You can check the story out with other people in your family. For example, if a caller says your nephew is stuck in a foreign country, call him or his parents to see if they can confirm the story. You also can ask the caller some questions about the family that a stranger couldn’t possibly answer. Try and make the question very personal; unfortunately, it is easy for someone to find basic information about strangers on the internet, so asking a generic question such as “what is his/her middle name?” may not be enough. If you think this cannot happen to you, or there is no reason that you would be a target, think again. A close personal friend of mine received one of these phone calls. Thankfully he was able to identify it as a scam, and no further damage was done. I invite you to share these tips with your friends and family. If someone falls victim to identity theft the damage can be irreparable. By utilizing the tips above, we can take the steps to make sure that doesn’t happen.